Summer is the time to enjoy fun in the sun. Fall is the time for planting. Why fall? Many of you might think spring is the best time to plant. That’s not entirely untrue. 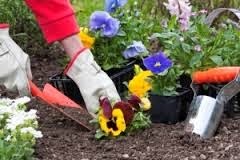 There are plenty of things you can plant in the spring but fall is a great time to plant things like shrubs, bulbs and trees. We’re talking about things like turfgrass, perennials and cool-season vegetables. There are many benefits to planting in the fall. The cooler air is easier on plants. It’s also easier to work in your garden in the fall, when those dog days of summer are just a memory. Yet, while the air might be a bit cooler, the soil should still be warm. This means roots will still be able to grow until the ground freezes. In spring, you have to wait for everything to thaw before you can really begin to plant in earnest. Another positive reason to plant in the fall is rain. Many areas typically see a healthy amount of rainfall in autumn. Combine this with a regular watering program and your lawn and garden should get plenty of water. So why plant trees and shrubs in the fall? Trees and shrubs will have the autumn months to develop root systems. This will help accelerate their growth in the spring. If the trees and shrubs are planted in the fall, they can use the winter season to rest and recover. It’s a good idea to conduct a soil test on your lawn in the fall. This will help determine what, if any, amendments your soil needs before winter. It’s also a good idea to apply fertilizer in the late fall. This autumn feeding will help protect your lawn during the harsh winter months. You can also overseed areas of the lawn during late fall. This will help with the spring growing process.